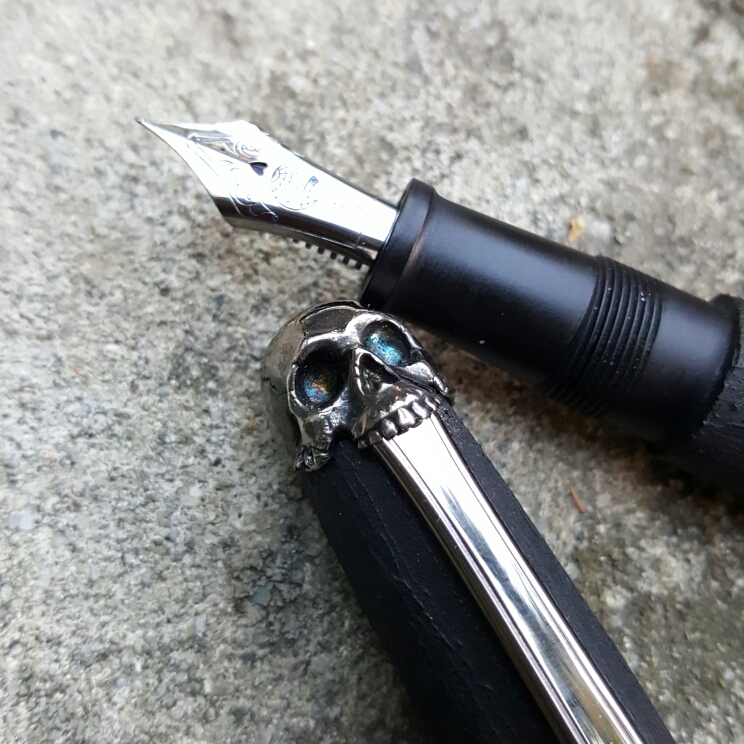 Nakaya Sumiko Skull, among other skulls. – Leigh Reyes. My Life As a Verb. They remind us of our mortality and look good on t-shirts. We all have one but we’d much rather not get to see it while we’re alive. I’ve had a thing for skulls since I was younger. (They were probably hot pink skulls too, because it was the 80s.) Different cultures have made fetishes of skulls, from drinking cups to amulets. 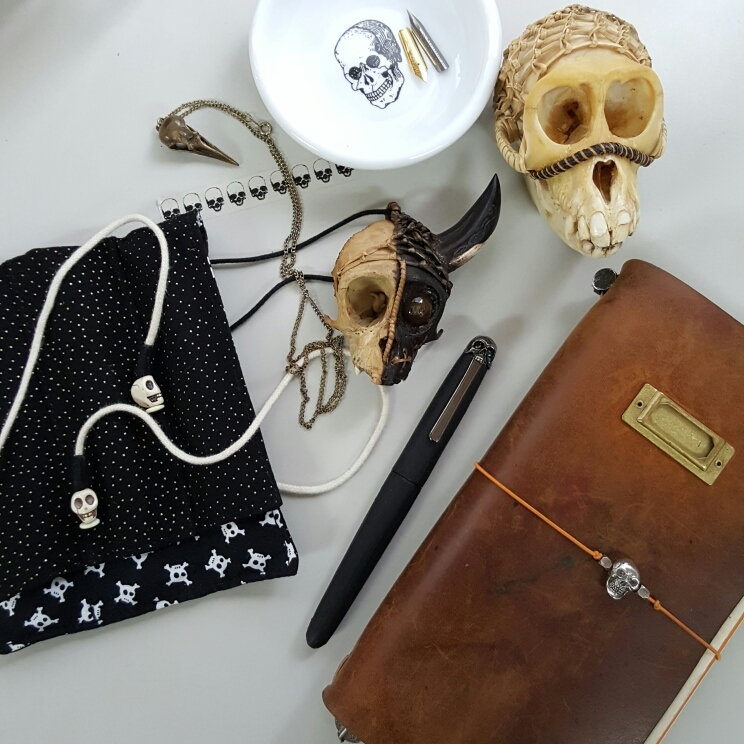 A predilection for pens and skulls is best served with a skull on a pen. 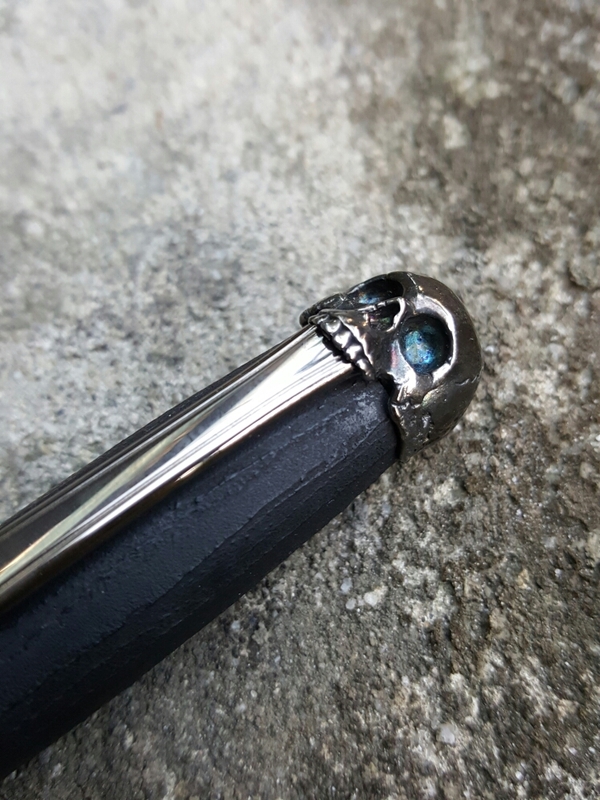 I’ve admired Nakaya’s sumiko skull for ages. There never seemed to be an appropriate occasion to get one. 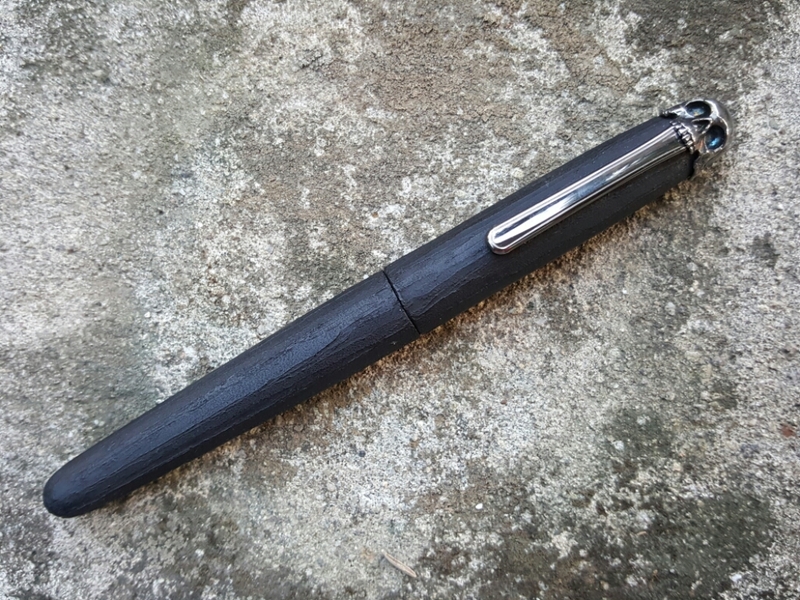 Then the appropriate occasion came when I least expected it: a preloved one appeared on nibs.com. I didn’t expect it to be so… three-dimensional. The contours invite repeated touching. 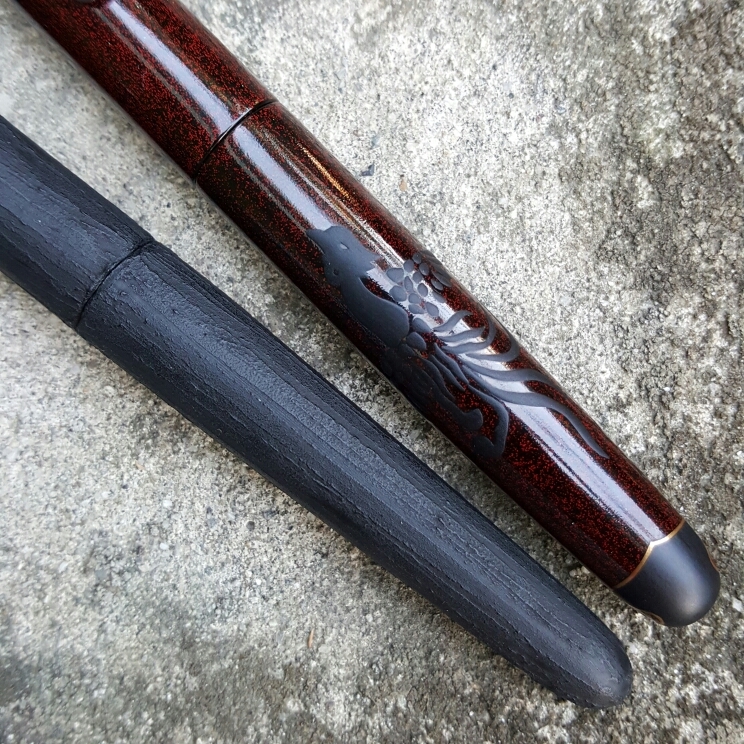 The contrast between the smooth curves of the skull and the bark-like roughness of the urushi is the Nakaya aesthetic at its finest. 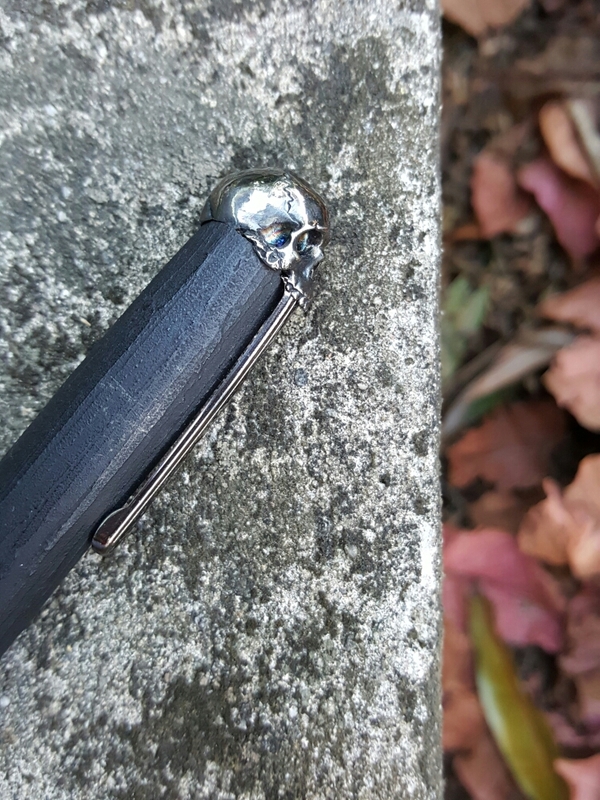 Details are present everywhere, from the skull joins to the teeth clenched on the clip. The sumi, applied in several layers, is deliberately distressed to complement the skull. 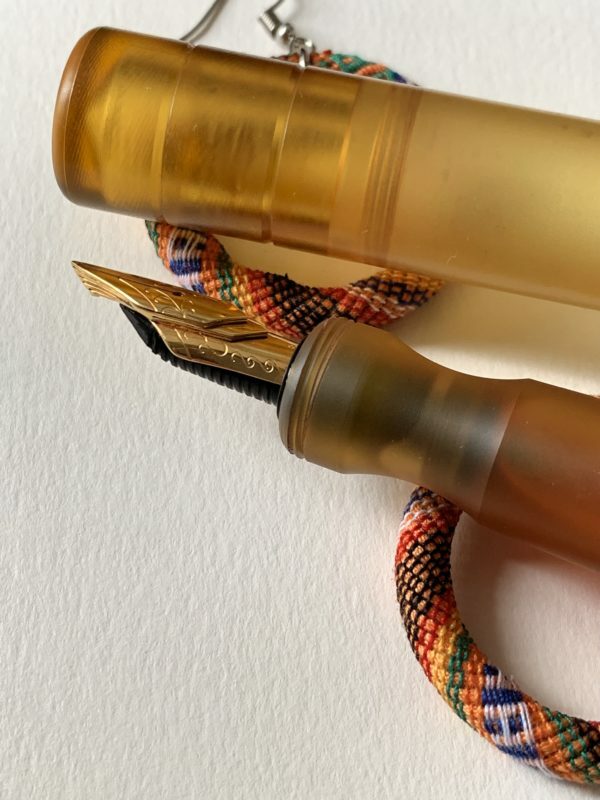 Uncapped, the pen displays a smooth section. I chose to replace the original owner’s cursive italic with a Spencerian-modified nib with a ruthenium finish. 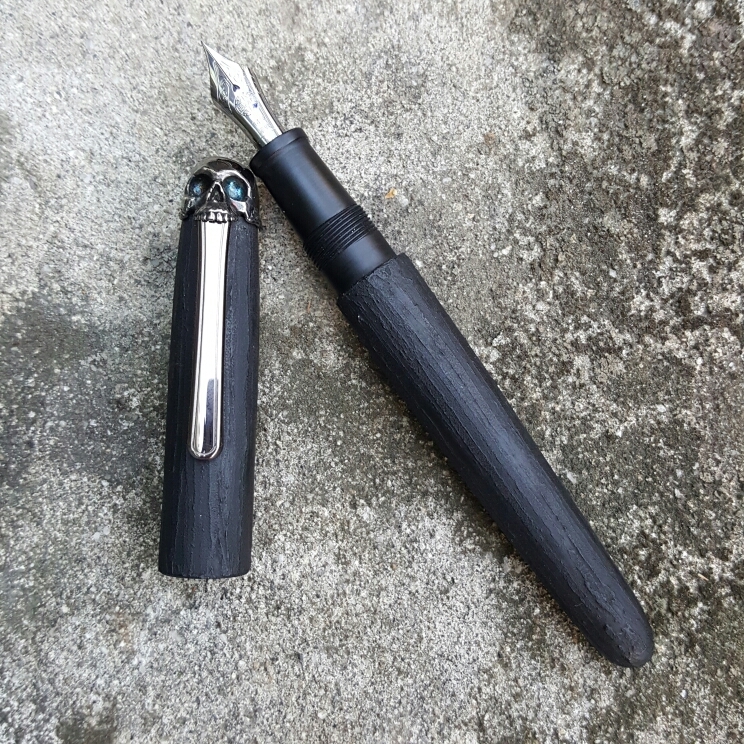 This did add to the cost of the pen but it was worth it to me for a nib I knew would always be in use. 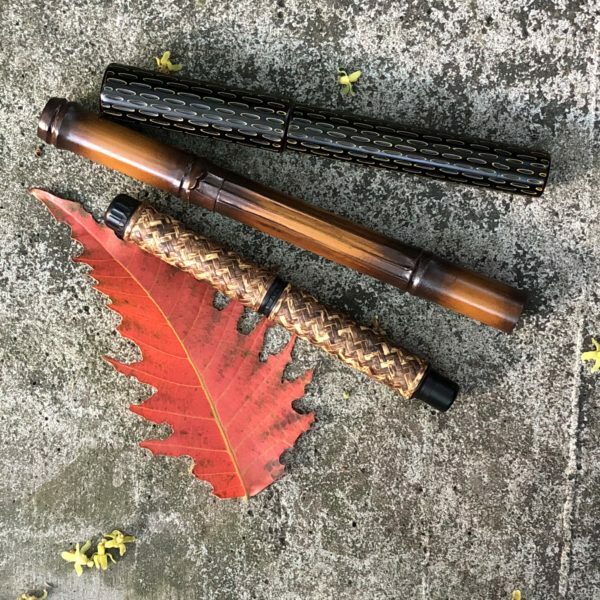 Urushi and sumi are such versatile materials, and in masterful hands, yield unexpected results. 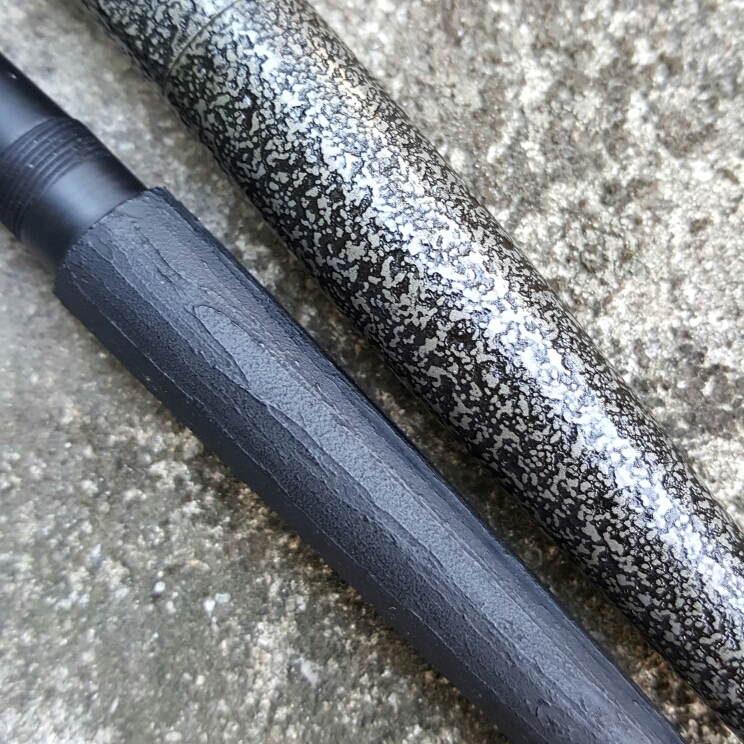 Below are two examples of sumi beside urushi/combined techniques. 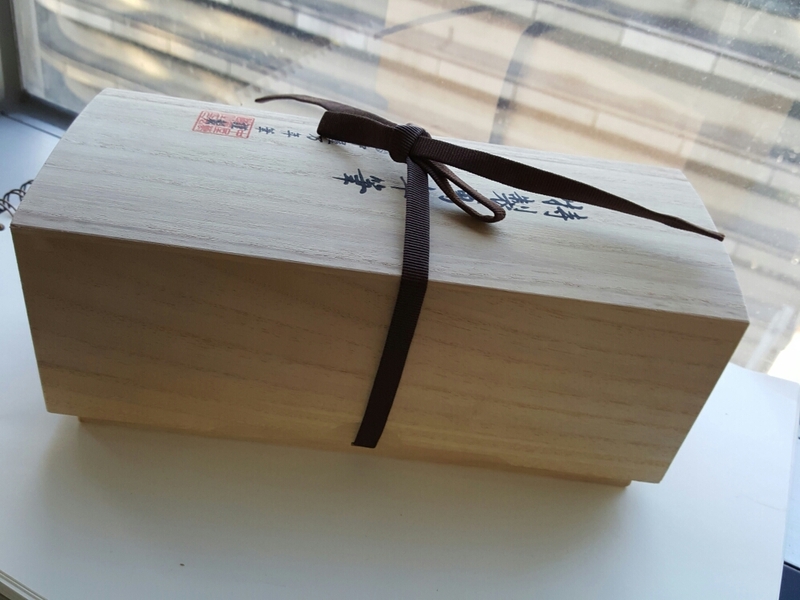 This is the first Nakaya I have that comes with the giant box. 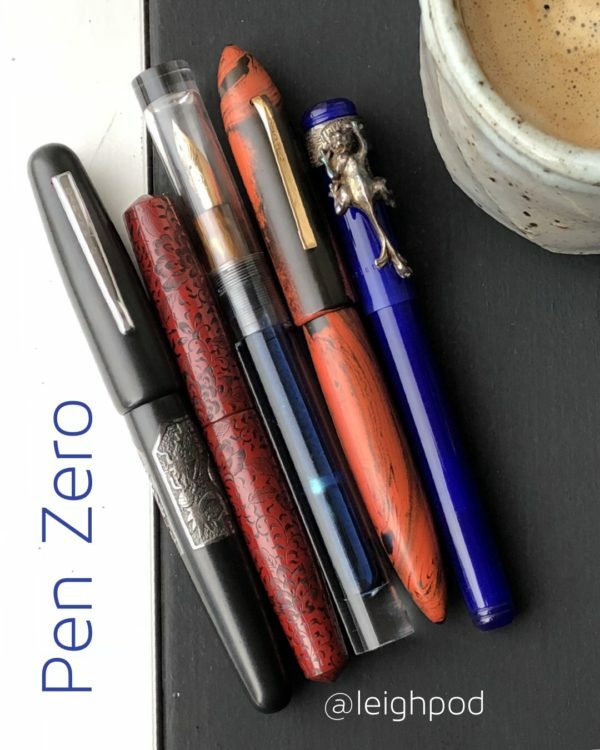 I can’t find the skull notebook Cary/Fountain Pen Day sent me, but I will so I can update this blog post. 😀 It’s the only notebook I have with an embossed skull! 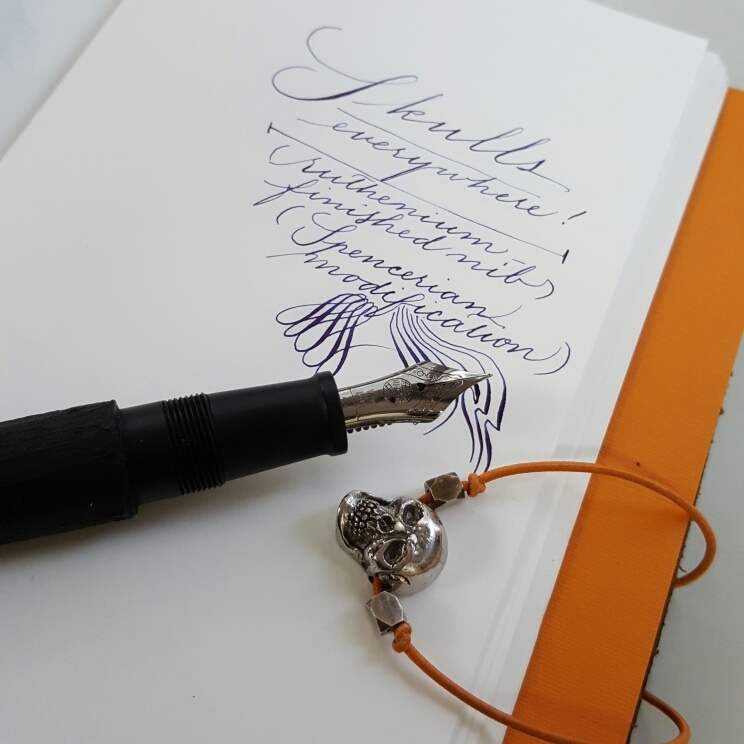 Thank you to nibs.com for getting the Sumiko Skull to me practically overnight, even with the nib replacement.